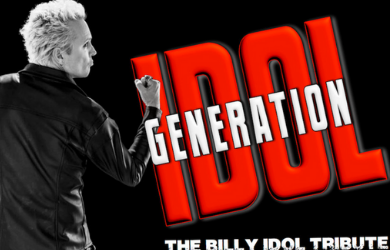 $25.00 for $50.00 - $25 For Two Tickets to an Amazing Tribute to Billy Idol featuring GENERATION IDOL! GENERATION IDOL! A tribute to BILLY IDOL live in concert! Enjoy a beautiful evening in the vineyards, under the stars at one of the Temecula Valley's most renowned wineries, Bel Vino! Playing all the classics such as: White Wedding • Rebel Yell • Eyes Without A Face • Mony Mony • Ready Steady Go! • Dancing With Myself • Flesh For Fantasy • To Be A Lover • LA Woman...and so many more! Expires May 10, 2019. Refunds are available on all unused vouchers within 14 days of purchase date. No refunds or credits are available after 14 days. If for some unforeseen reason a business closes while before your voucher expires a credit for your purchase price will be issued into your account to use on future deals. No Refunds on special event purchases after the event date, no exceptions. Expired vouchers are not available for credits or refunds under any circumstance.